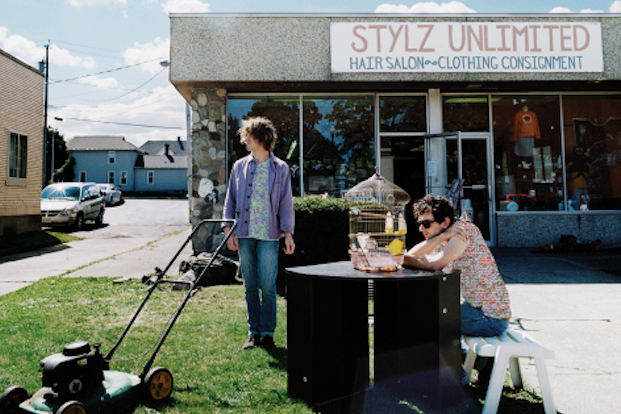 Grammy-nominated alternative rock group MGMT will perform at Dillo Day as the festival’s headliner, Mayfest announced Wednesday. Known for hit songs “Time to Pretend,” “Electric Feel” and “Kids,” the group was formed by Ben Goldwasser and Andrew VanWyngarden while both were students at Wesleyan University. MGMT’s 2008 album, “Oracular Spectacular,” was named album of the year by NME, a British music magazine. The album was also one of Rolling Stone’s top 20 albums of the decade and sold more than 2 million copies worldwide. Communication senior Yumiko Mannarelli, Mayfest co-director of concerts, said MGMT was the act most voted on in a poll Mayfest sent to students in the fall. Mannarelli said Mayfest was trying to move away from bringing a hip-hop artist as a headliner. The group, she said, was very excited when it saw MGMT’s popularity on campus and its availability to participate in Dillo. Before securing the performance, MGMT asked Mayfest to install a video wall as a stage backdrop, Mannarelli said. This is the first time the group has done something like that, she said, and it’s really excited to be able to provide an “incredible” audio-visual experience. The video wall will be 16 feet by 9 feet and other Dillo artists will be able to use it, Mannarelli said. MGMT will close the show after a performance by DJ Gramatik, which Mayfest announced a few weeks ago. Dillo Day will take place May 20. Correction: Due to incorrect information from a Mayfest news release, a previous version of this story misstated Justine Yücesan’s position on Mayfest. Yücesan is the co-director of promotions. The Daily regrets the error.